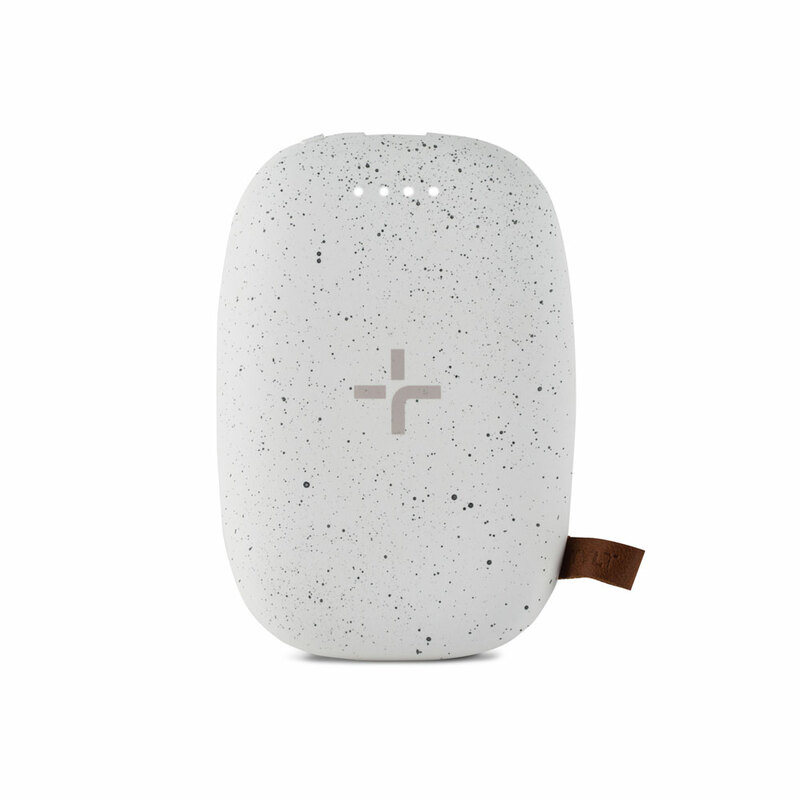 The Pebble wireless charger and power bank is a single coil charging solution for all Qi compatible devices. Simply place a Qi compatible device on top of the Pebble for a wireless charge on the go. The Pebble also has a universal USB port just in case users would rather charge their phone the traditional way. Plug a trusty cable into the port and press the power button to begin charging. Oh! And don't worry about taking a case off before placing the device on the Pebble, it can charge through most cases and covers. Portable Wireless Charger. The wireless charging feature of the PEBBLE lets users leave their cables at home and charge wirelessly on the go. The bonus here is all about the convenience of charging a device without the tangled mess of cables, or to have a backup way to charge a device if cables are left at home. Portable Power Bank. The power bank feature of the PEBBLE lets users charge their mobile device the old fashioned way by plugging any charging cable into the universal USB port. Compatible with All Qi Devices. The PEBBLE is the perfect wireless charger for a Qi compatible phone.